Jilla Panchayat Seva Pasandgi Samiti Mahesana Invite Application For Multipurpose Health Worker (Male) (Class III) 68 Post and Female Health Worker (Class III) 51 Post Vacancy. 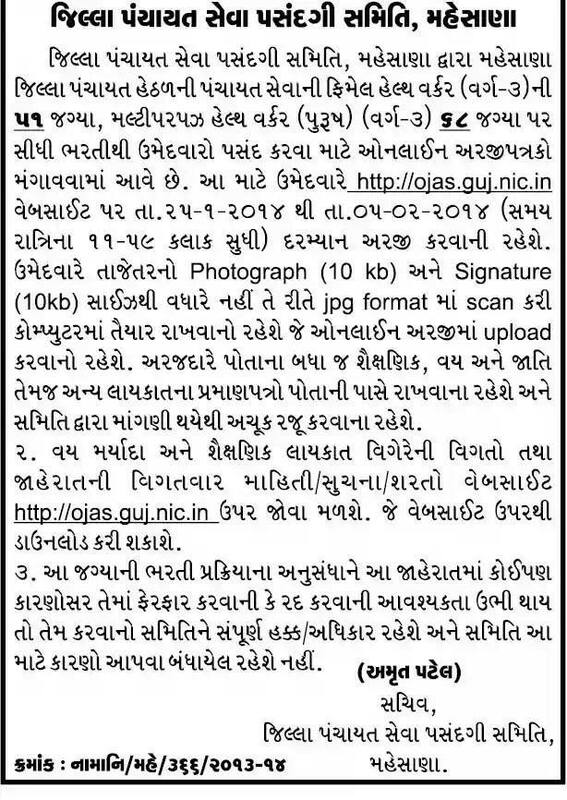 Interest and Qualifications Candidate Must be Apply Online Application on ojas.guj.nic.in Before Last Date. Aa Jagyani Bharti Babte Jaherat Ma Koipan Karnosar Ferfar Karvani Ke Rad Karvani Sampurn Adhikar Samiti Pase Rahehse.